Download 32.69MB file here (1007 hits). Posted: January 29th, 2006 under Farscape. This song comes right off the Grease 2 OST. I made this for the 21st Clamshell Challenge, which was to pick a song from a Broadway or movie musical. 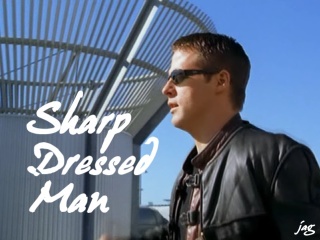 I dunno what to think about this one since I couldn’t really get into the music, but hey….. John is definitely a Cool Rider, and Aeryn wants nothing but John 😉 So in a way, it fit. Download 26.53MB file here (510 hits). Posted: January 27th, 2006 under Farscape. This is the second music video I ever made. My sister helped me with some tricks for some effects. I hope you like it! Download 28MB file here (610 hits). 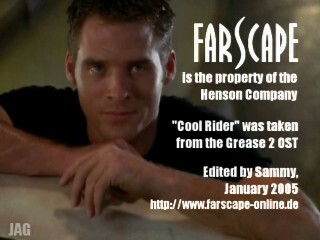 Posted: January 23rd, 2006 under Farscape. 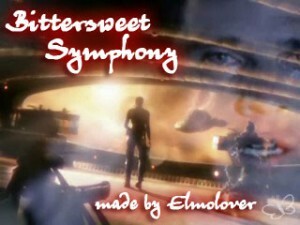 This video was done to a short piece from the sountrack to “Le Pacte Des Loups” which I found thanks to Aruna7. The vid itself is based on the Beastmaster episode “Wild Child”, featuring Claudia Black and Anthony Simcoe. If you haven’t seen the episode, this vid should give you a little glimpse of what it is about. Download 22.38MB file here (653 hits) or stream below the cut. Posted: January 20th, 2006 under Beastmaster.